Shop Crochet Stores - Do you need crochet supplies? Shop for supplies at these stores. We earn a small commission when you purchase supplies through one of these affiliates (see affiliate statement below). This allows more time for us to find free patterns and projects, add useful craft and hobby information and produce YouTube videos to feature at Needlepointers.com. Thank you for supporting us by purchasing from these merchants. CraftDaily.com had over 500 craft videos, you'll never run out of ideas. Videos for jewelry making, crochet, knitting, quilting, sewing and more. Make something new TODAY... Subscribe now! Save on knitting and crochet supplies - yarn, knitting needles, crochet hooks, plastic canvas and many other needlework supplies. Shop hot brands like Clover, Boye, Red Heart Yarn, DMC Embroidery Floss, and more! SHOP NOW! Crochet books, ebooks, magazines, DVDs/Videos, patterns and more. KnitCrate is a subscription box service and online store for fiber artists around the world. Get fun surprise packages delivered to your doorstep with a package of premium yarn, a pattern for a project and a fun extra. Shop at KnitCrate online store for luxury yarns, kits and products. Get 20% off your first order by entering the coupon code: Needle20. SHOP AND SAVE! Over 1,100 different Leisure Arts crochet Books from which to select in the convenience of your own home. No need to go to the store; just shop online. Shop at Michaels for all you knitting and crochet supplies - yarn, knitting needles, crochet hooks, tools and accessories. Shop now and enjoy the convenience of the items being delivered right to your doorstep. 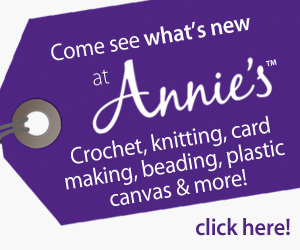 Shop for yarn, patterns, notions and more. Online shopping is convenient and saves time. And shipping is free on orders over $35 in the United States.